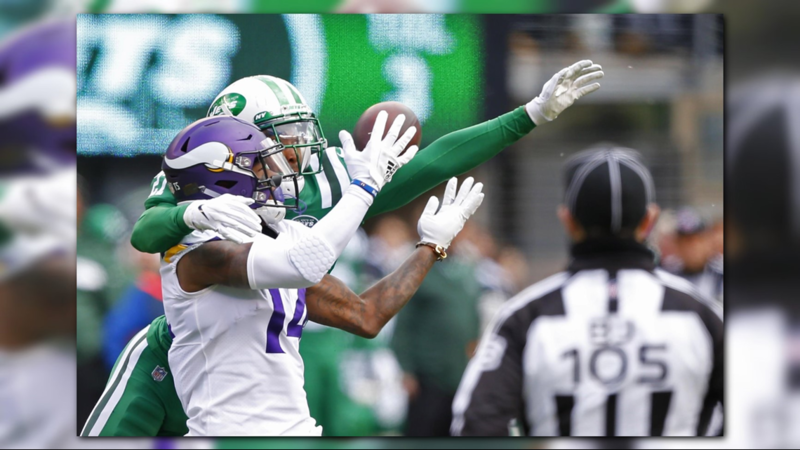 Oct 21, 2018; East Rutherford, NJ, USA; New York Jets tight end Chris Herndon (89) catches a touchdown pass against Minnesota Vikings safety George Iloka (23) during the first quarter at MetLife Stadium. 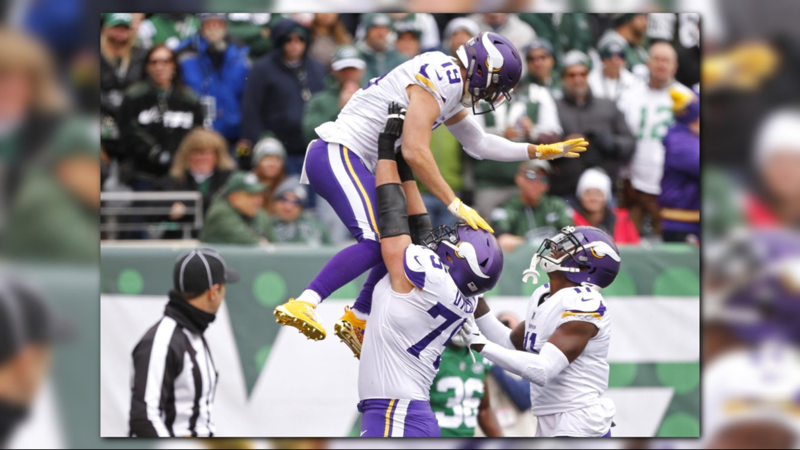 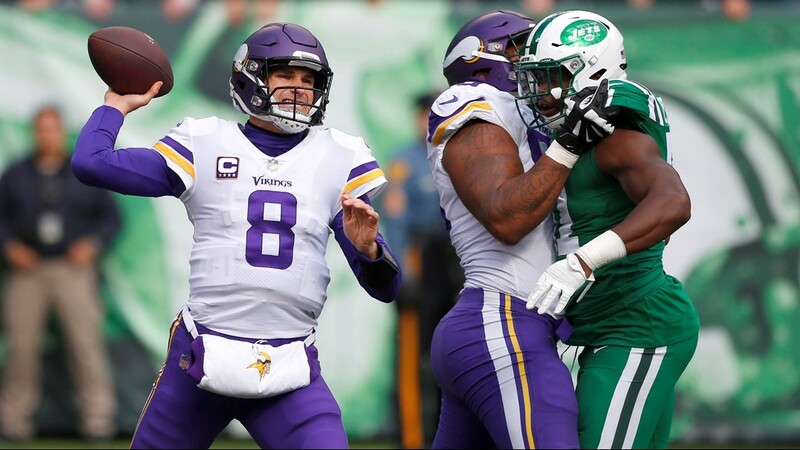 Oct 21, 2018; East Rutherford, NJ, USA; Minnesota Vikings quarterback Kirk Cousins (8) drops back to pass against the New York Jets during the first quarter at MetLife Stadium. 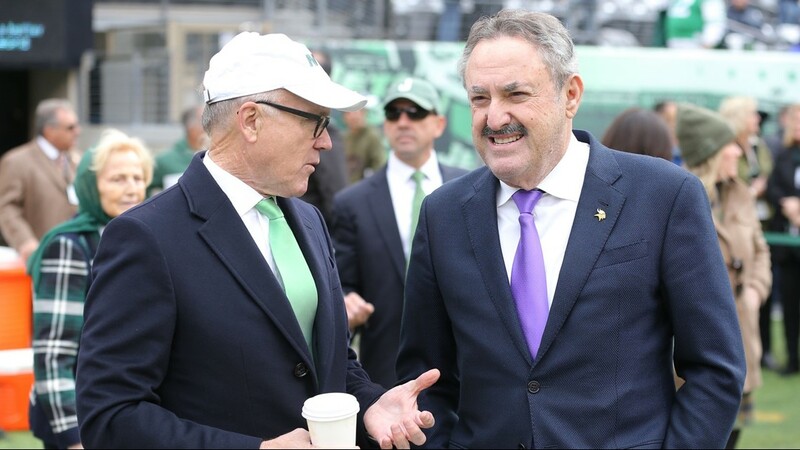 Oct 21, 2018; East Rutherford, NJ, USA; United States ambassador to the United Kingdom and New York Jets owner Woody Johnson (left) talks to Minnesota Vikings principal owner Zygi Wilf before a game at MetLife Stadium. 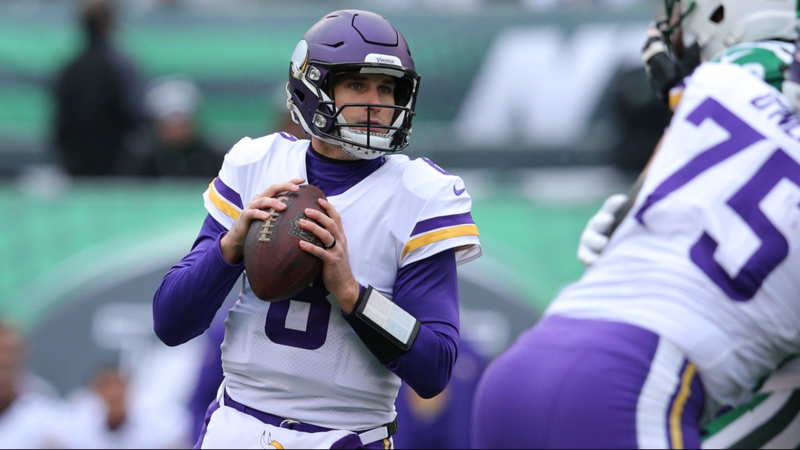 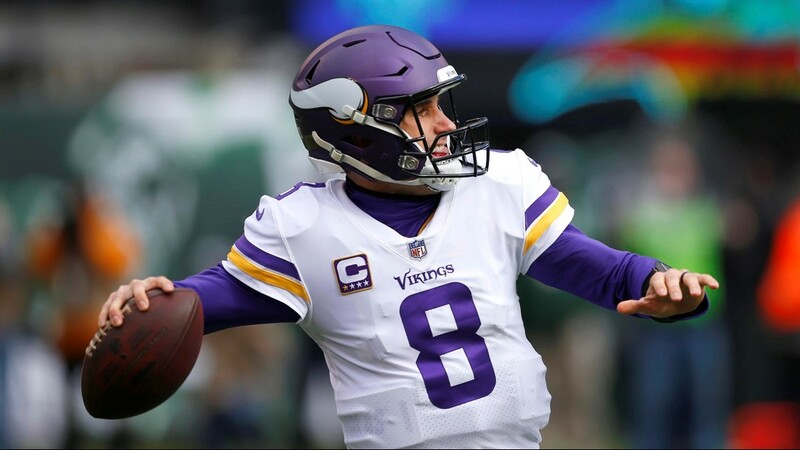 Oct 21, 2018; East Rutherford, NJ, USA; Minnesota Vikings quarterback Kirk Cousins (8) during warm up before game against New York Jets at MetLife Stadium. 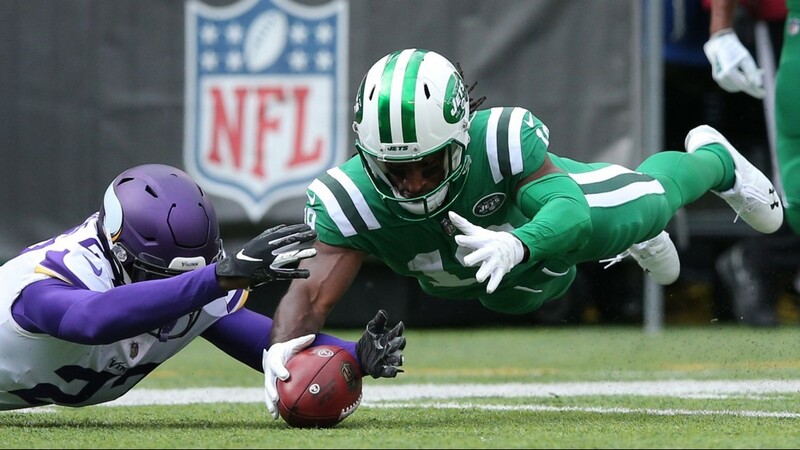 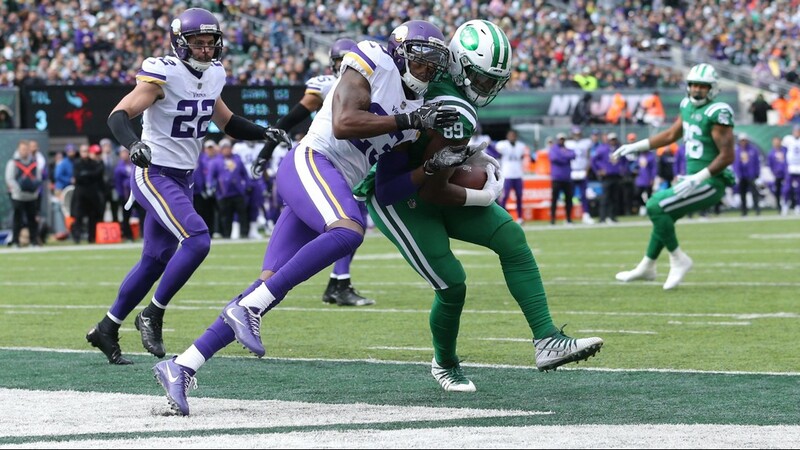 Oct 21, 2018; East Rutherford, NJ, USA; New York Jets wide receiver Andre Roberts (19) recovers a fumbled punt return against Minnesota Vikings safety Jayron Kearse (27) during the second quarter at MetLife Stadium. 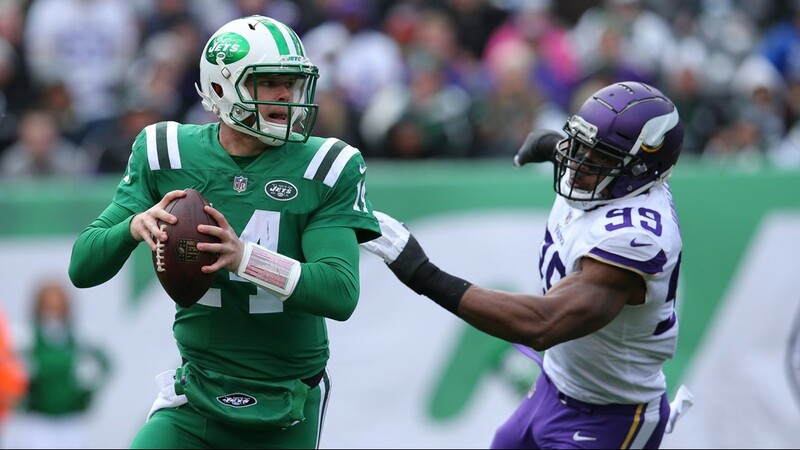 Oct 21, 2018; East Rutherford, NJ, USA; New York Jets quarterback Sam Darnold (14) scrambles from Minnesota Vikings defensive end Danielle Hunter (99) during the second quarter at MetLife Stadium. 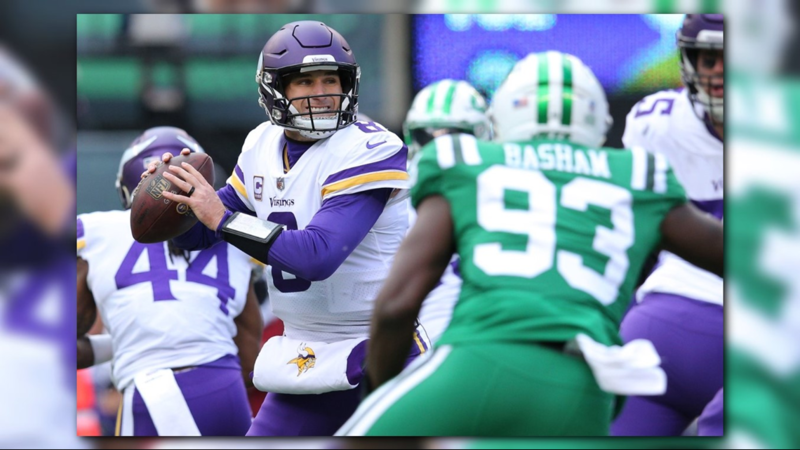 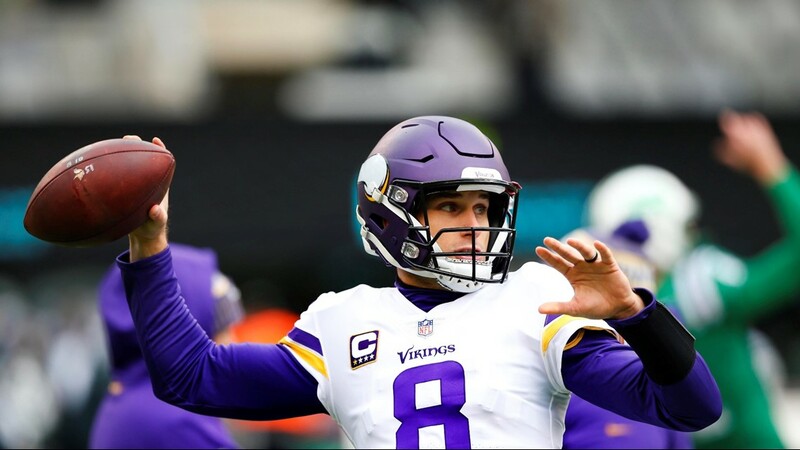 Oct 21, 2018; East Rutherford, NJ, USA; Minnesota Vikings quarterback Kirk Cousins (8) throws a pass against the New York Jets during the second quarter at MetLife Stadium. 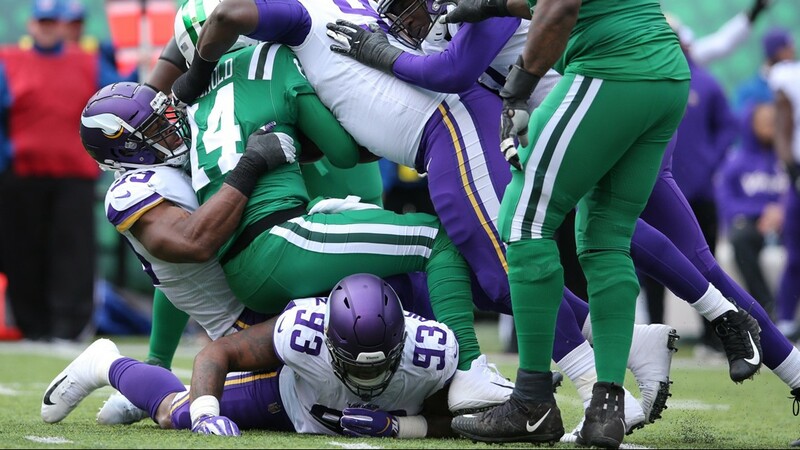 Oct 21, 2018; East Rutherford, NJ, USA; New York Jets quarterback Sam Darnold (14) is sacked by the the Minnesota Vikings defense during the second quarter at MetLife Stadium. 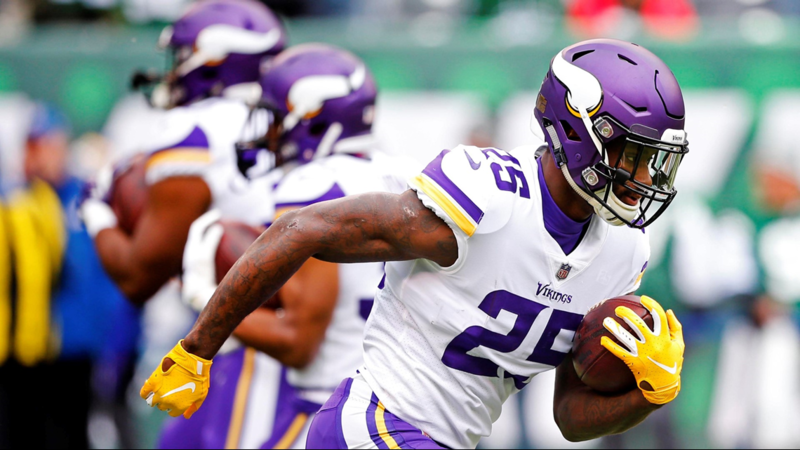 Oct 21, 2018; East Rutherford, NJ, USA; Minnesota Vikings running back Latavius Murray (25) during warm up before game against New York Jets at MetLife Stadium.